Damaged concrete becomes new again in a few simple steps. 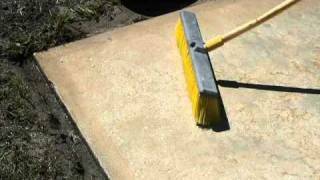 Let this tutorial take you through every step of the process; from cleaning the surface and treating cracks to recoating the concrete with a thin overlay broom finish. 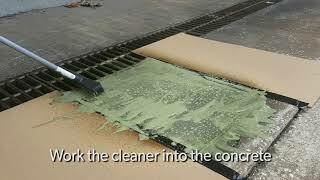 Watch SCR™ Concrete Cleaner work on an old and dirty concrete loading dock. All you need to do this is SCR Cleaner, a scrub brush, a pump-up sprayer, and some clean water. You’ll be amazed at the results.